The Secretary General of the United Nations, Mr. Ban ki Moon, appoints Chibuike Rotimi Amaechi to serve as a member of the board of trustees of the United Nations Institute for Training and Research (UNITAR). 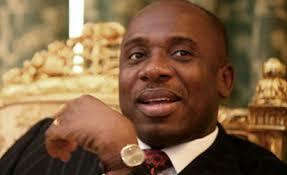 Amaechi’s appointments is for a three -year term beginning from January 1, 2016 to December 31, 2018. UNITAR is an autonomous institute established within the framework of the United Nations for the purpose of enhancing the effectiveness of government in achieving major objectives of the United Nations particularly for the purpose of maintaining peace, security and development in developing nations like Nigeria.Director, Decentralised Corporation UNITAR, Alex Mejia, while presenting the letter of appointment to Nigeria’s minister of transportation on behalf of the United Nations’ Secretary General, Ban Ki Moon, said that Amaechi is expected to make useful and valuable contributions to the growth and development of UNITAR.